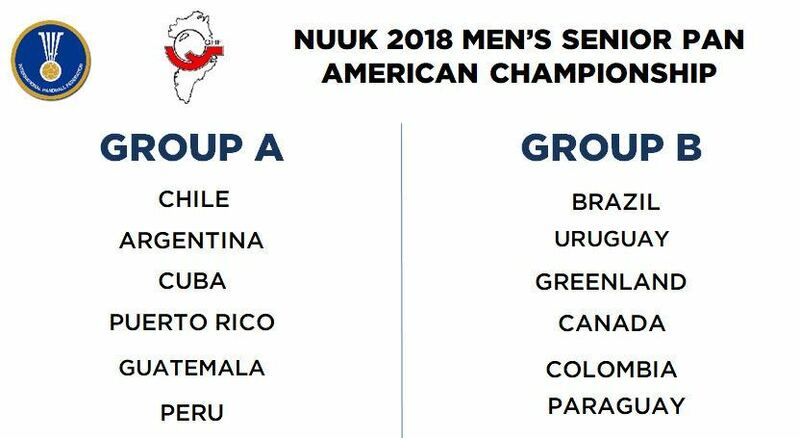 After a highly successful 2nd place result at last week's NorCa Championships in Mexico, Canada now know who their opponents will be at the 2018 Pan American Championships. The draw was made in Buenos Aires on Saturday afternoon at the head quarters of the Argentinean Olympic Commitee. The competition will take place from June 16-24th for the first time on the world's largest island, Greenland, in the capital of Nuuk. The top three teams will earn themselves a ticket to the 2019 World Championships which will be co-hosted by Denmark and Germany. Canada find themselves pooled in Group B alongside Brazil, Greenland, Paraguay, Colombia, and Uruguay. Head Coach Alexis Bertrand believes it will be a tough competition but feel the team is picking up momentum after strong performances at NorCa. "It is a difficult group but we showed last week that we can compete and give a strong challenge. We have dedicated players that play for each other and we will give it our best in every match and look to continue our strong performances."